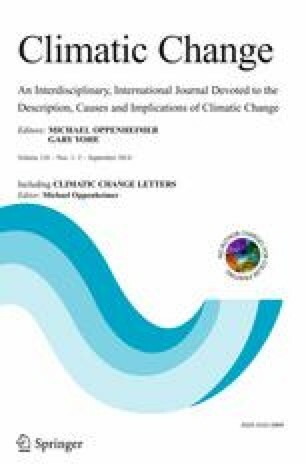 This paper studies the interplay between climate, health, and the economy in a stylized world with eleven heterogeneous regions, with special emphasis on USA, Europe, China, India, and Africa. We introduce health impacts into a simple economic integrated assessment model where both the local cooling effect of SO 2 and the global warming effect of CO 2 are endogenous, and investigate how these factors affect the equilibrium path. Regions do not respond in the same way to climate change. In particular, emission abatement rates and health costs depend on the economic and geographical characteristics of each region. Two policy scenarios are considered, Nash and Optimal, for which we present both global and regional results. Results for Africa and China are highlighted. The online version of this article (doi: 10.1007/s10584-014-1204-2) contains supplementary material, which is available to authorized users. We are grateful to conference participants at the Monte Verità Conference on Sustainable Resource Use and Economic Dynamics (SURED), Ascona, Switzerland, June 2010, and the Fourth World Congress of Environmental and Resource Economists (WCERE), Montréal, Canada, June-July 2010; to seminar participants at Wageningen University, Oxford University, the LSE, and Hiroshima University; and to an associate editor and five referees for helpful and constructive comments. We gratefully acknowledge financial support from JSPS Grant-in-Aid for Scientific Research Nos. 22530177 (Ikefuji) and 18078001 (Sakamoto). E-mail addresses: ikefuji@sam.sdu.dk (Ikefuji), jan@janmagnus.nl (Magnus), h.sakamoto4@kurenai.waseda.jp (Sakamoto).